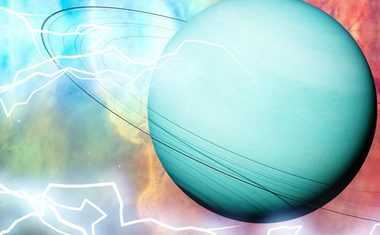 Revolutionary Uranus is in its home sign in open-minded Aquarius, where its tendency to bring change and upheaval is embraced. This transit is marked by major cultural changes, as the global mind connects with these two generators of progressive energy. Uranus in Aquarius brings movement to the stagnant areas of our world. 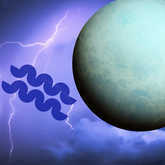 This planet and sign are both instigators, so when they join forces we can expect an intense period of change. Communities will shake off old structures that no longer serve them, and common interests can drive the creation of new structures based on humanitarian ends. 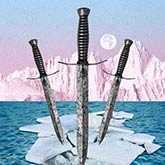 Instead of standing in each other's way, Uranus' and Aquarius' energies support each other, making it easier to implement changes that can make a major impact on our future. The transit of the rebellious planet Uranus through Aquarius is profoundly impactful. It is about the birth of new ways of communicating, networking, and integrating with society. But it is also about the falling away of the old ways of doing things. When these two pair up, we should be ready to move and change along with these currents, lest we feel lost in the chaos they stir up. Uranus in Aquarius is a fantastic time to take an interest in group dynamics. The interplay between the individual and groups will flourish during this cycle. The independence of Uranus paired with the grand thinking of Aquarius encourages us to take responsibility for our own lives. Simultaneously, this combo pushes us to embrace what we can do to improve the lives of others and the world in which we live. Now is the time for us to develop the skills to work collaboratively. This sort of interconnected effort and support is vital with Uranus in Aquarius. Humanitarian endeavors will be lifted up and can gain immense momentum. If we donate our time to something we believe in, Uranus in Aquarius creates just the right atmosphere for our efforts to be amplified and truly make a difference. 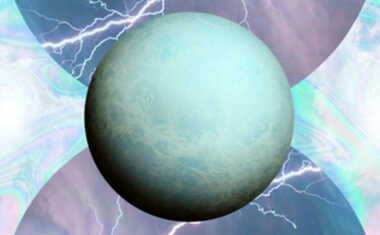 When Uranus takes a backward spin through the heady realm of Aquarius, we’re in for a murky mental time. While the combination of these energies still encourages us to look forward at what is possible, this retrograde turns our focus toward the past. We will be walking forward while looking backward. Patience and care are essential. This doesn’t mean we have to walk blindly into our new world, however. With the right perspective, we can use our rear-view look at life as an advantage, learning from past mistakes and reminding those around us of what we have learned. Now is when we should take the lessons we've learned in the past and integrate them into our plans for the future. Mistakes remembered are less likely repeated. 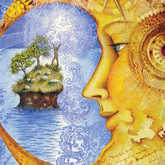 Being born with your Uranus in Aquarius brings you vast personal freedom. The free-thinking energy of this combination means you are an independent soul who dances to the beat of your own drum. 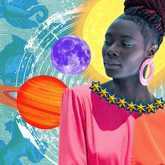 Having this planet of chaos and change in the humanitarian space of Aquarius means you are always about to shake up the social situation. Your friends know you’ll always have great party inspiration. At work, you’re fantastic in a brainstorm -- you always have new and out-of-the-box ideas. Invest your time in taking action on these and there is no limit to what you can achieve. When you embrace your tendency to shake things up, you create ripples around you that inspire others to follow your lead. Your self-expression and open-mindedness are inspiring and you can be a great catalyst for positive change. However, be sure your intentions are in the right place. If you want to see something torn down, you can easily wreak havoc on a social structure. Use your power wisely.